On Friday Ralph and I had to spend our morning at a meeting regarding his insurance benefits. It was frustrating and confusing and we still need a one on one meeting next week. We’re supposed to hear over the weekend when that will be scheduled. I hate that stuff and Ralph says I’m the one who understands it, so I get to deal with it. Yikes! Anyway, after 2 hours of frustration we headed home hungry. We decided that the easiest and most budget friendly thing to do would be to go to Picasso’s. It’s 2 blocks from home so it’s hard to argue with it. Not that I want to! It was all cheesey and gooey inside. 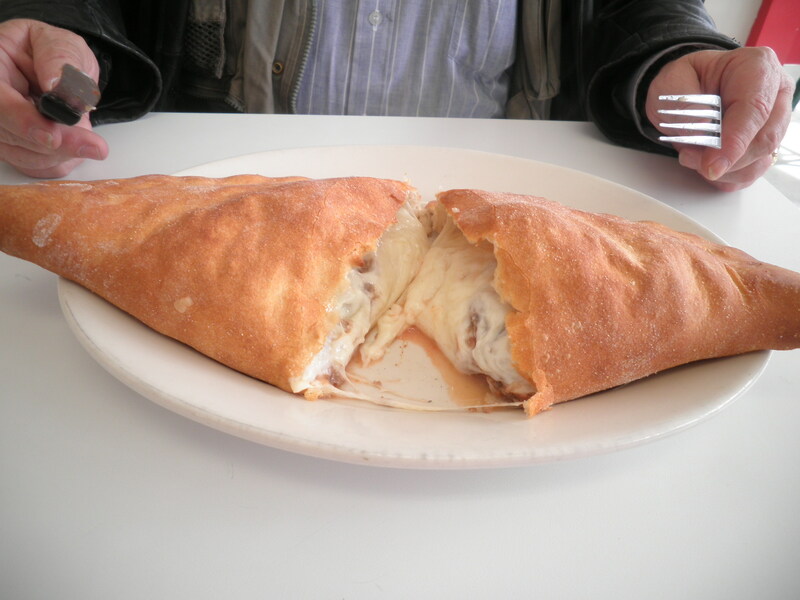 He said it was delicious and so big he needed to take half of it home. He had a ready-made dinner! 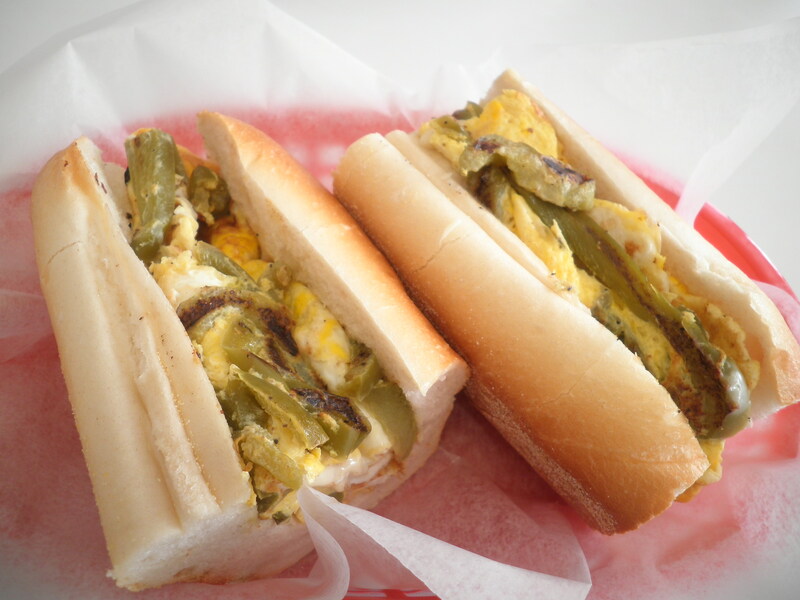 The pepper and egg sandwich with American cheese. This really is a comfort food for me. When we were little, Mom used to make pepper and egg for us all the time. It is so tasty and as always was just what I needed. 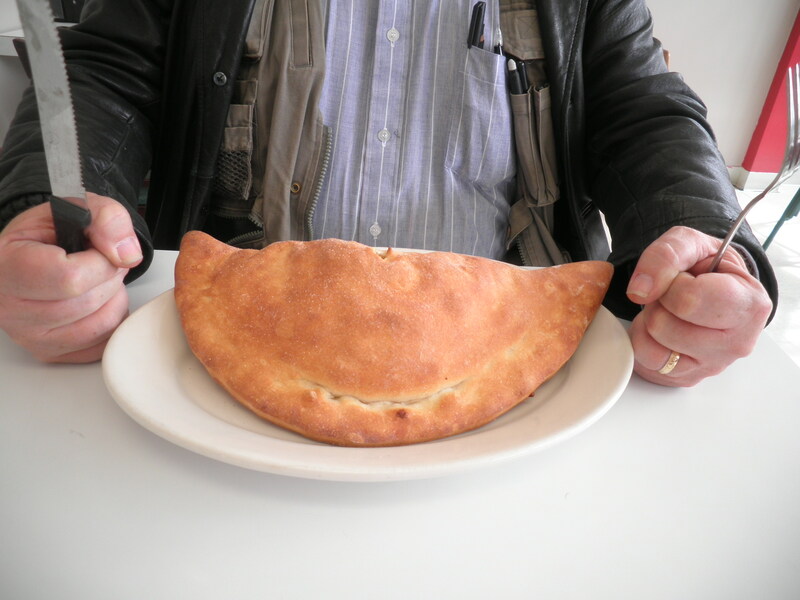 We’re always happy with the food here. Saturday morning found me at Weight Watchers. I wasn’t sure what my results would be. I don’t usually eat anything as heavy as the sandwich the day before weigh in, but as I said I needed it. I was happy to find that I had lost 1 pound!! I did try hard this week and I felt well rewarded for my efforts. Saturday evening found us at my sister Ele’s house. My nephew, little Michael was visiting and we all wanted to spend some time together. Ele hasn’t been feeling well so to make things easy we ordered from …you guessed it…Picasso’s!! Dinner was simple and easy. 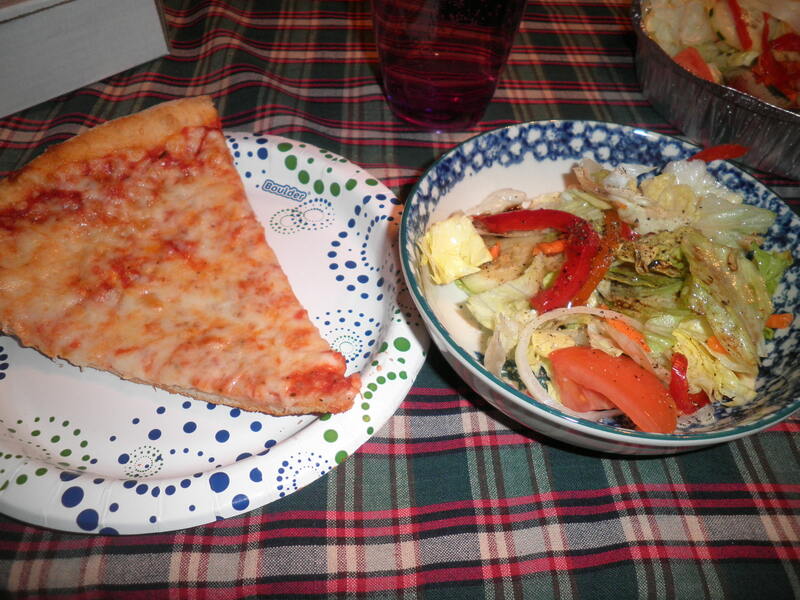 Pizza and salad. I think their pizza is very good. It’s not fancy and doesn’t try to be anything else but pizza. Good old-fashioned taste. I love their salads, especially when we get it with the balsamic vinaigrette that they make… so good. I had 2 slices and felt in control. The salad helped! 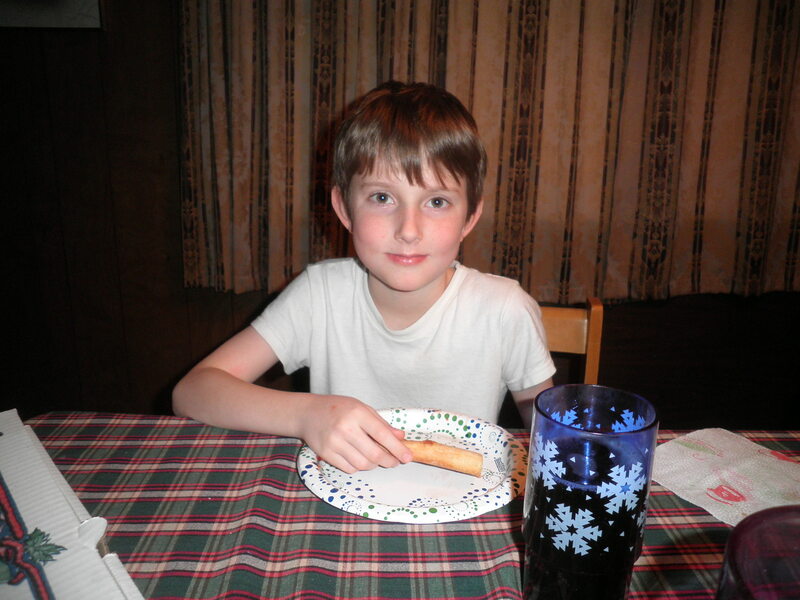 A Happy Young Pizza Eater! We had a fun evening but we were all pretty tired and faced with losing an hour of sleep so we made it an early evening. This entry was posted in Uncategorized and tagged salads, Urbanspoon, Weight Watchers. Bookmark the permalink. There is nothing like dealing with insurance of any kind to put me in the worst mood! I hate it. Pizza looks delicious though – I’ve been craving it lately! Which is odd because I never crave pizza. I might need to go find a Picasso-ish place today. Ameena, I’ve actually had pizza twice in two weeks. I’ve been begging off of it just because I have a hard time controlling it. It tastes especially good when it’s been a while since you’ve had it! I agree Corrie Anne, the meeting was awful, the sandwich was great!